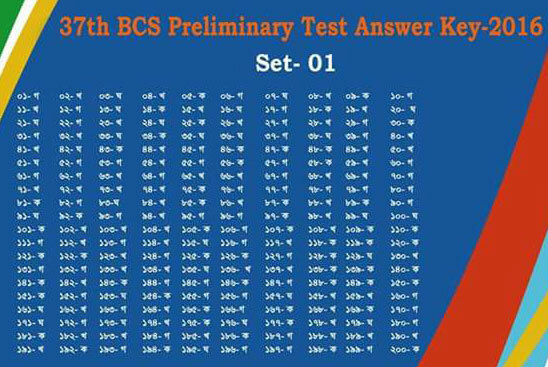 37 BCS Preliminary exam was taken on 30 September 2016. 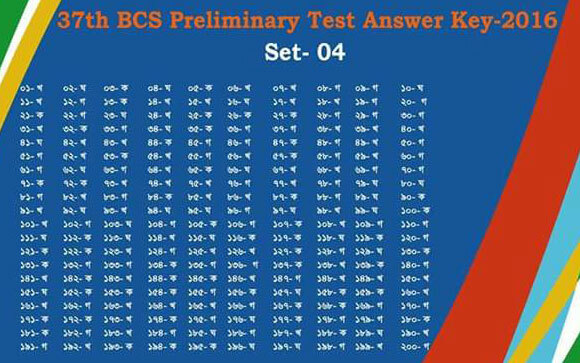 The 37th Bangladesh Civil Service (BCS) preliminary examination under the Public Service Commission (PSC) will be held on Friday, September 30, 2016. The examinees were also asked not to enter the examination halls along with mobile phone sets, electronic devices, books, notes, calculator, and bag. The two-hour long test will be held simultaneously in Dhaka, Chittagong, Rajshahi, Barisal, Khulna, Sylhet and Rangpur centers from 9:30am to 11:30am on the day. The examination will be held against 1,226 posts. A total of 2,43,476 candidates is expected to take part in the exam. Will be uploaded here soon. Keep stay with us. If you think any answer is given wrong here, please let us know by commenting. 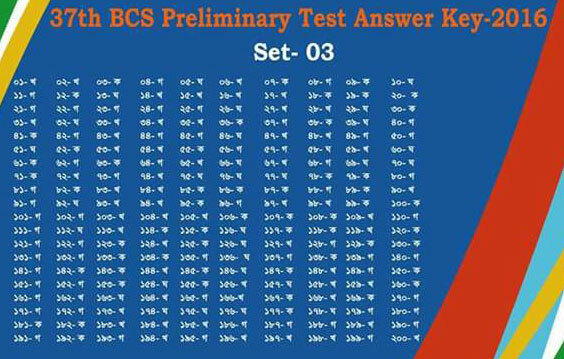 Like Our Facebook Fan page facebook.com/bdresult to get the latest updates of this “37 BCS MCQ Question Solve” and get future updates. pleas know me that how many number for the BCS Exam pass ? If you will get 95-100. Its confirm that you will pass, get ready for written exam. If you will get 95-100 in 37 BCS. Its confirm that you will pass, get ready for written exam. I think cut marks will be 100 to 105.